Tina's work started as a dream inspired by her love of family. In her search for a special piece of jewelry to commemorate her children, only a simple, yet unordinary, timeless-with-a-twist design would do. Dreams + labor of love + serendipity + intuition = Love Touch Collection. 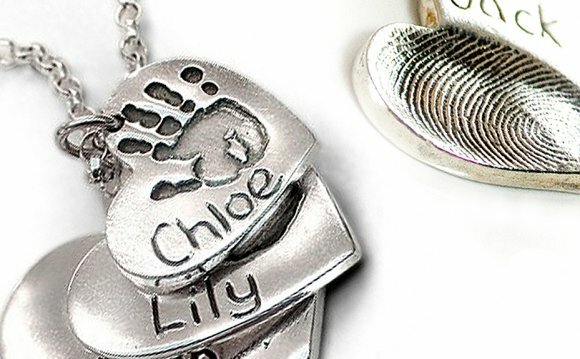 No one does what Tina does to make fingerprint jewelry come to life. She has a flair for artistic combinations that draw people to her work. These designs are not just for child fingerprints. They are popular for capturing adult prints, particularly for couples (weddings, anniversaries!). Designs have an organic, antiqued appearance. Each piece comes with a short inscription on back which you can specify during your online check out. We hand engrave on back to maintain the beautiful simplicity of each print on front. Read Customer Service before ordering. It is natural to worry about the progress of one's vehicle across countries; that's why most good auto shipping providers have developed tools to allow you to track your vehicle. When stipulating a contract, ask your auto shipping company how often you will be able to receive info on your car's current position on the road and if the service is provided for a fee.